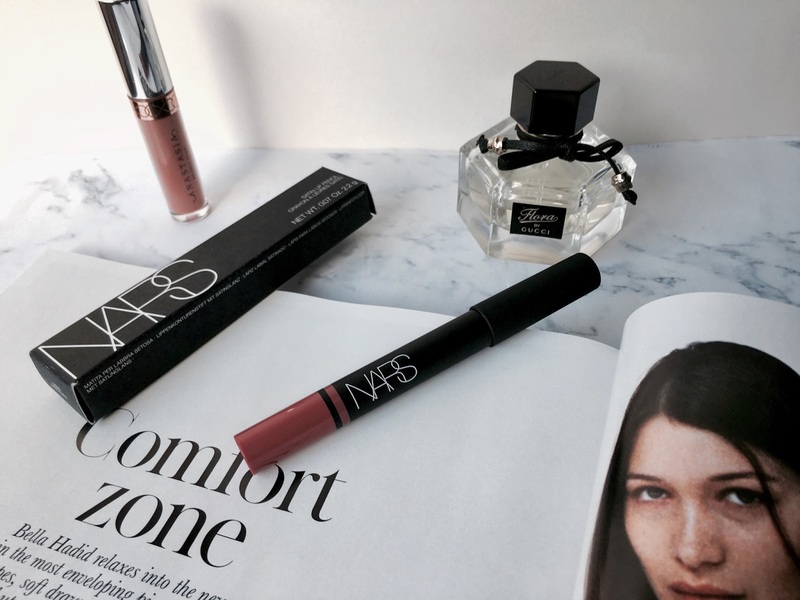 Until recently I had never tried anything from Nars, and although I had wishfully eyed up a few of their products before, I never really had any intention to, before I found myself swatching products at their stand a couple of weeks ago. I had heard amazing things about both their velvet matte and satin lip pencils, so they were the first place I went to. After swatching a couple of shades, I fell in love with the formula of the satin pencils and very excitedly ending up choosing one. 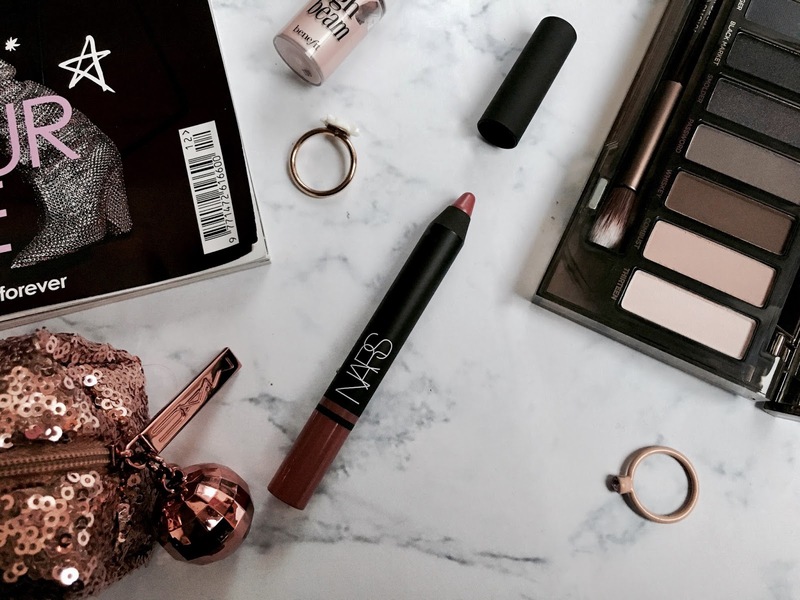 Now Nars products aren't cheap (believe me, if I could justify the price of their 'The Multiple' highlighting stick I'd have got that too), but I could tell that the quality of their lip pencils will definitely be worth the £21 I paid for it. Thinking about it, that's probably the most I have ever paid for a lip product, so I'm glad it lives up to it's heftier price tag. I opted for the shade Rikugien (no idea how to pronounce it either, apparently it's some sort of rose?! ), a really pretty rose pink shade. Because it was my first time trying them I didn't want to go for a really bold shade, and this shade stood out to me as one I knew I would get a lot of wear out of. 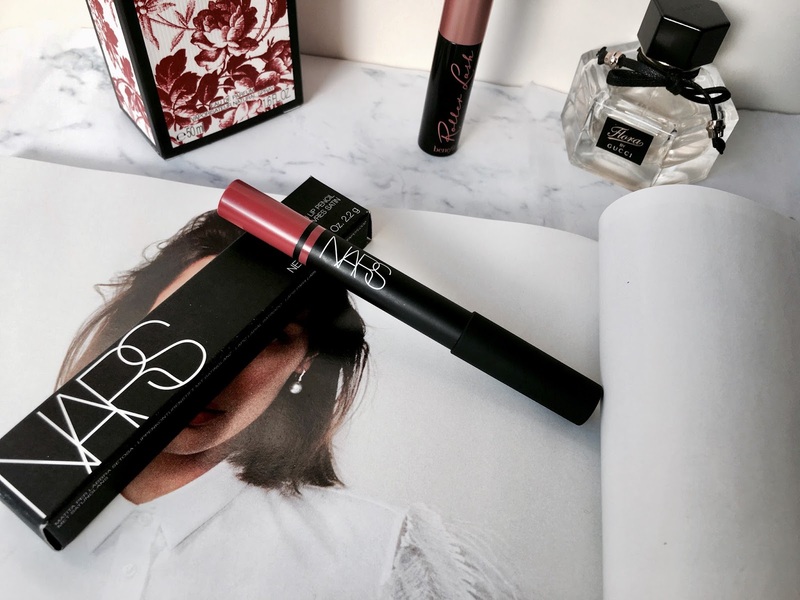 Although Nars describe it as a lip pencil, it's too chunky to line your lips and I much prefer to use it as an all-over lip colour. The crayon-like shape of it actually makes applying it so much easier and precise. 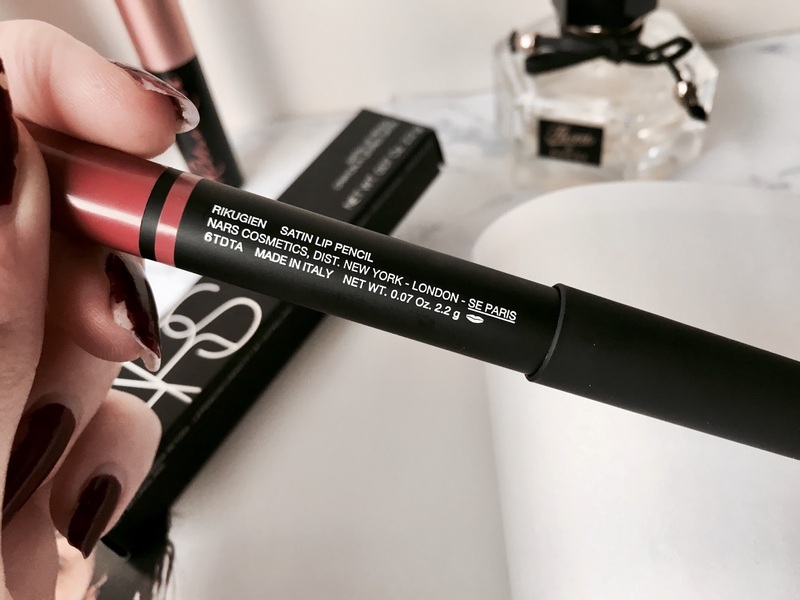 It's definitely easier to use than your avarage lipstick which I really liked - I can quickly swipe it on when I'm in a rush with no fuss! As I mentioned before, I knew the formula was a winner as soon as I swatched it. It has an almost silky, glide on feel - making it super comfortable and moisturising on the lips, perfect for this season while my lips are a bit drier so I don't want to coat them with a matte lipstick everyday. Even though it has a satin finish, I was impressed with how pigmented it is, my shade itself is gorgeously rosy. It's also longer lasting than I expected which is always a bonus. 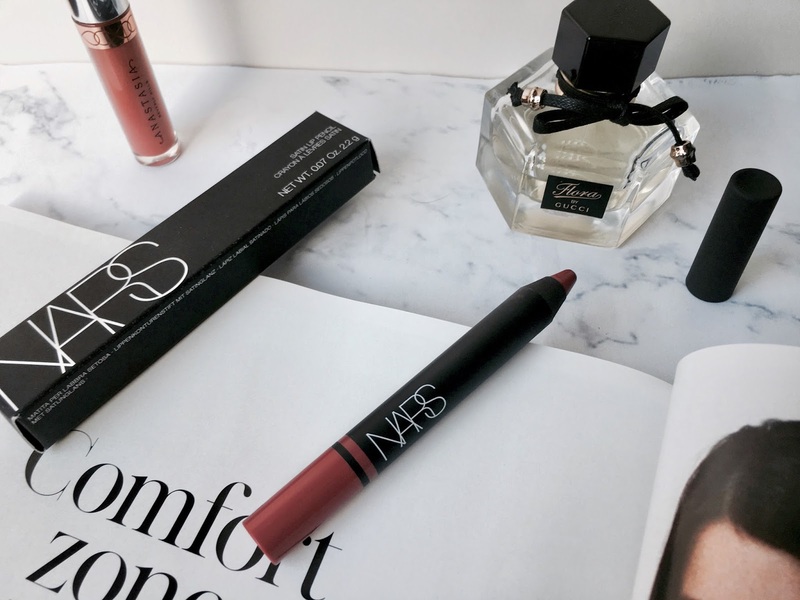 I love how the Nars packaging is so sleek and the pencil has a little swatch of the shade at the bottom - I can tell this comes in handy if you owned a few! 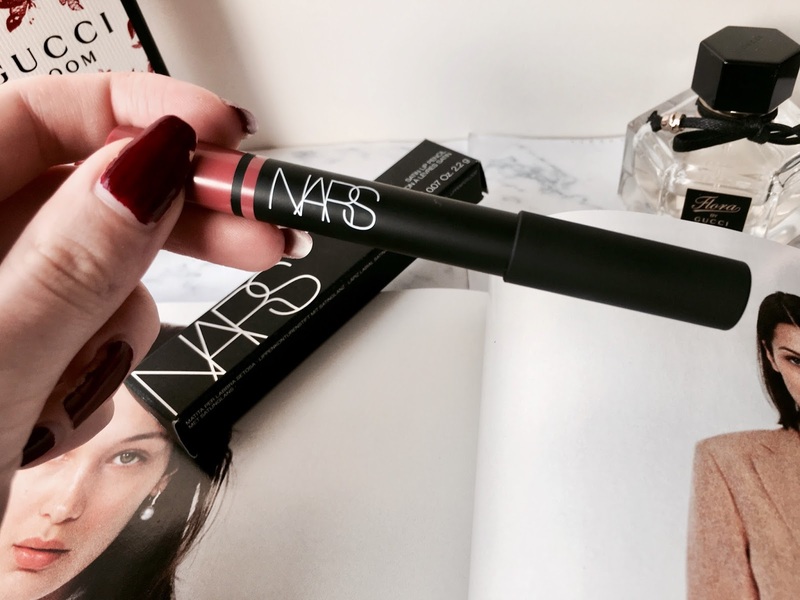 I think my Nars Satin Lip Pencil is definitely now my go-to lipstick and can't wait to wear it more. 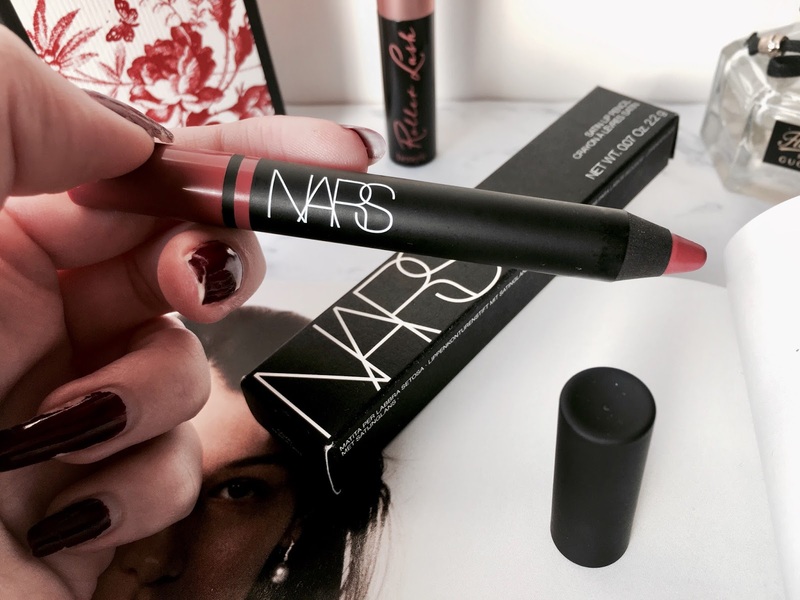 Have you ever tried a lip pencil from Nars? I'd love to hear your thoughts in the comments! Very nice colour, I bet it looks amazing on! 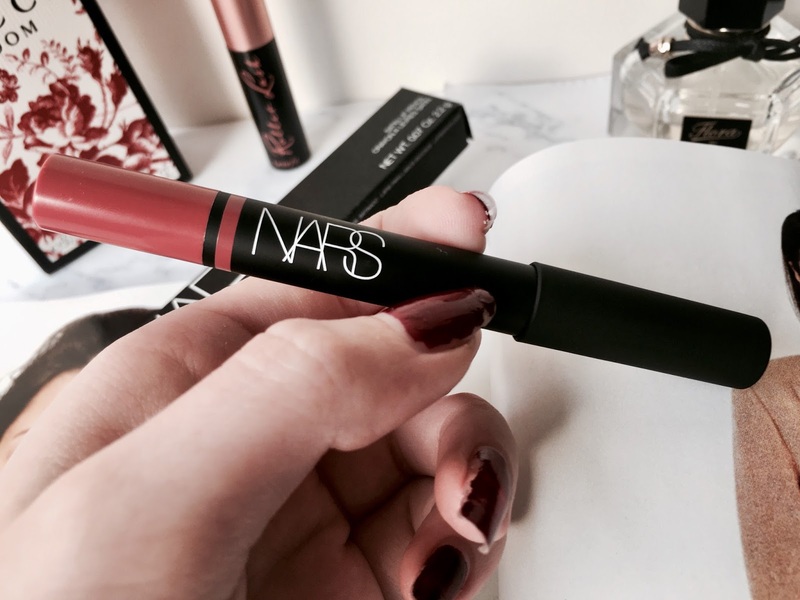 Looks like a gorgeous shade - would love to try out one of the NARS satin lip pencils at some point!